How can photographs be understood? What are their meanings? How do they acquire their meanings? These questions have been whirling around the medium for a long time. As it turns out, answers are harder to come by than one might imagine. Why is that? How is it possible that a medium that makes it so easy to take a picture turns out to be so hard to understand? Authorship, intent, meaning, indexicality — these are key terms around which discussions of photography have centered. In a technical sense, the medium has changed a lot over the past decades, actually ever since photography was invented. In much the same way, the way we see these terms has changed alongside. For example, while it has been possible to manipulate photographs in a darkroom for a long time, the advent of digital photography has thrown a big monkey wrench into the idea of indexicality, the idea that what is in the picture must, at some stage, have been in front of the camera. Before that, postmodernism started messing with the idea of authorship and meaning. If you ignore these discussions, however, our fundamental belief systems somehow appear to be curiously unchanged. We all know that photographs can be manipulated, but in most contexts — the ones that the vast majority of pictures live in — we believe in the truth value of a picture even if in technical terms it has been manipulated a lot (think Instagram’s filters). So clearly, there must be something else going on. As I indicated a few weeks ago, my own thinking of what photography is and how it does what it does has come to center on the idea of gestures. Given that vast numbers of photographs are now seen in the context of so-called social media, the idea of a gesture is really not that revolutionary. To share a photograph with those who somehow follow the photographs you take is a gesture, not quite unlike, say, sharing a bag of candy with people around you. In much the same fashion, taking photographs at an event, however noteworthy or not it might actually be, is a gesture: I photograph, therefore I am. If seen as gestures, these two activities allow us to view the resulting photographs in a different light: if I photograph something to affirm my own presence at that particular moment, the resulting images are a lot less important than my act of doing it. In much the same way, sharing photographs on social media — a form of personal propaganda — also is a lot less about the pictures themselves, and a lot more about the act of doing it. What we are really made to look at are not so much the photographs as the person behind them, given that the pictures are — to use art-world lingo — carefully curated. As a consequence, a lot of the confusion around many aspects of this type of photography actually disappears. We could maybe call it “social photography,” photography whose main aim it is to establish and/or operate inside a social context. Take the pictures out of that context, and they lose most, if not all of their meaning. Outside of their social context, selfies, for example, are expressions of sheer narcissism. Inside, however, they make a lot of sense. I do believe that our knowledge (or maybe tacit assumption) that photographs are tied to social contexts to a large extent determines how we look at and engage with photographs. It would be conceivable but extremely odd to imagine someone scroll through their Instagram feed and mutter complaints about selfies, say (I could imagine a few art-world photographers doing that). But this extends out to the medium as a whole. Photographs are human artifacts, but given the medium’s age, they don’t open themselves up to random speculation. Those who have taken photographs before us were actually quite similar to us. In most cases, the language they spoke and the societies they lived in are close or at least not that foreign to ours (compare with, say, people using ancient Roman denarii as currency). 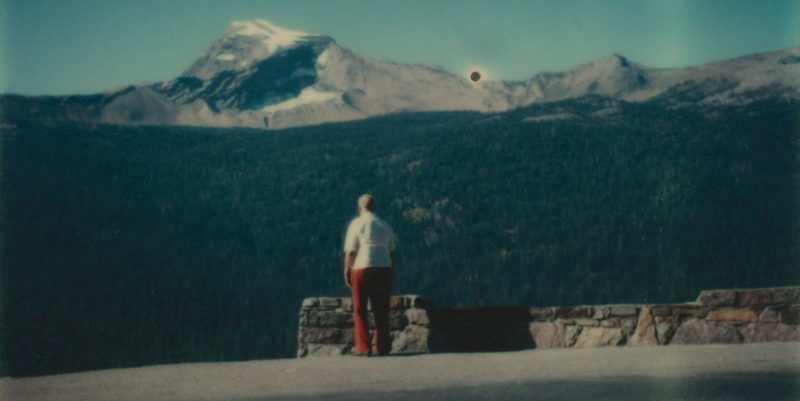 It is for this reason that we feel so connected to photographs, that we so freely attribute their makers’ intentions to them, however unknowable they actually are: these people were just like us (even though they might not have been). So their ideas of photography were like ours, and they used photography just like we do. Because of that we treat most photographs we see as if they were made by ourselves. Whatever gestures we know are attached to our pictures — those then ought to be connected to all photographs (even though in reality that might not be the case at all). What are those gestures? Let’s say I photograph someone in the street (that’s a gesture). I can do that with or without their approval (another gesture). If I do it without their approval, I can do it candidly or openly (another gesture). If I do it with their approval, there enter various aspects of power dynamics (which I can acknowledge or not — another, quite crucial, gesture): I’m a man, so if I photograph a woman, that’s a specific power dynamic. I’m someone very familiar with photography, which might not be the case for the subject (which gives me power). There are the aspects of class, of race, … A lot of the gestures here are tied to acknowledging and working with these aspects of power (or maybe not doing that at all). Here’s a recent example to illustrate what I mean. I’m just going to give you the headline — NYPD Union Encourages Cops to Spend Free Time Photographing Homeless People, and I think it will be pretty obvious to see how and why the idea of gestures enters there. So I get my pictures, and I do something with them, which, again, comes with its own set of gestures. Different contexts are also tied to different gestures. Usually, contexts are treated by looking at their rules, and this makes a lot of sense. Thinking about gestures does not really change anything here. But it changes one thing, namely our understanding of reactions to a possible infraction. Let’s say, there is a photograph in the news that is manipulated. We get upset about it. The thing is that we don’t really get too upset about the manipulation itself as about the fact that someone attempted to betray our trust (which, clearly, is a gesture we don’t like). We would never react the same way if confronted with an advertizing photograph, because there usually is very little, if any, trust to be betrayed. I will admit that thinking about gestures makes talking about photographs a bit more abstract than what we’re used to. The advantage of thinking about gestures, however, is that they are much closer to how people engage with photographs. We use photographs in very specific ways, given the context, and things ought to start out from there. The gestures we attribute to photography might change with time, in ways that are tied to our larger cultural and societal context. That also makes it easier to think about photography. For example, our ideas of what is acceptable for photographers in public spaces has been changing quite a bit over the past decade: people don’t like to be photographed without their consent so easily any longer. You can either complain about that and point out that street photography has a long tradition, or you can adapt to the fact that it’s not the 1960s or 1970s any longer. Thing is, though, if you don’t adapt, and if you insist on going about things in the “good old ways,” people will see those gestures more than your arguments about it being art or about there being some tradition. To think about gestures might help photographers approach what they do and how they do it. Photographers tend to be very image centric. It’s all about the pictures, which it kind of would be if those photographs were to live in a social vacuum. But they don’t. Unless you photograph to never show them to anyone, your photographs will end up in some social environment, and in that environment people have specific expectations. These expectations concern the photographs themselves (that’s all the photo stuff you can find in books), and they concern larger, societal and/or cultural issues (which often are curiously absent from books on or about photography). Much like any spoken language, photography cannot exist on a strictly private level. Meaning, authorship, intent — none of them mean anything if there is only a single person (for essentially the same reasons that Ludwig Wittgenstein argued a private language doesn’t make sense). But meaning, authorship, intent also only arise from the social context the photographs are embedded in, through the gestures we tie to photographs, gestures that we know we share with other people. This realization has the potential to possibly open up new audiences for especially art photographers, given that so much of it is done as if there were no social context. As I noted in my book review, it also opens up different ways of creating documentary photography. If, for example, as a wealthy, white person you go to a poor place with your camera, that’s the very first gesture right there. Before you’ve even taken a photograph, there is a lot of baggage that you’re carrying with you, and your photographs in part will have to deal with that. You might not be aware of that baggage, but the people living there in all likelihood will be a lot more sensitive. So the second gesture then is to acknowledge the baggage or not — which predetermines a lot about your work, again before you’ve even taken a single picture. Of course, there are certain things you just cannot change. But for every gesture, there might be a countergesture. And those countergestures will then influence where you’re getting with your work. The age of innocence is long over in photography. There have been way too many photographs made for anyone to be able to innocently take a picture anywhere. Yet all too often we go about photography — the making of as much as the looking at — as if all of that stuff in the medium’s history never happened. That can’t be. It can’t be for cultural and/or societal reasons, and it can’t be for photographic reasons. Thinking about the gestures that come with a camera and the pictures it produces might be a good way to start adapting to this deceptively simple medium.